Individuals are required to file income tax return each year if they have taxable income of more than Rs.2.5 lakhs. The income tax rate AY 2019-20 or FY 2018-19 for salaried individuals is as follows. Note: Financial year starts from 1st April and ends on 31st March. For example, the financial year 2018 – 19 would be 1st April 2018 to 31st March 2019. Assessment year is the year immediately following the financial year wherein the income of the financial year is assessed. 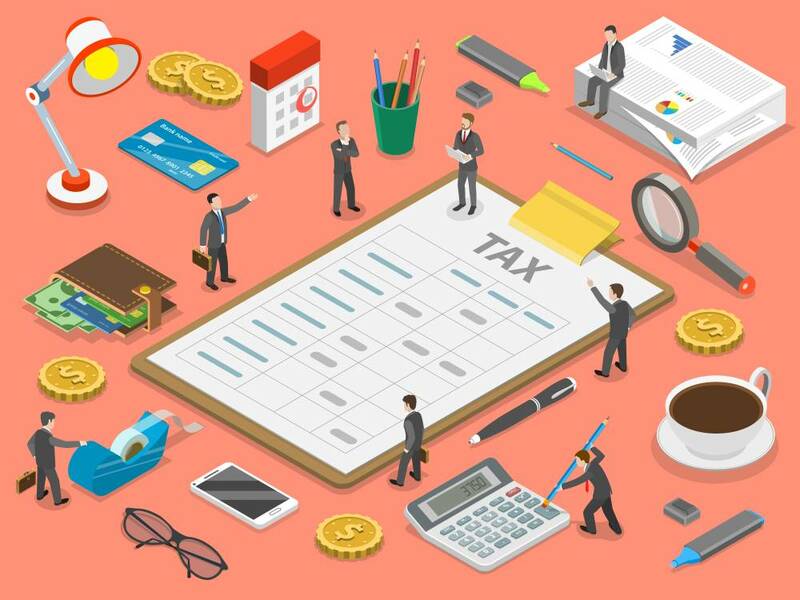 Hence, in the assessment year 2019 – 20 the income tax for the period from 1st April 2018 to 31st March 2019 would be assessed. In addition to the Income Tax amount calculated, based on the above-mentioned tax slabs, individuals are required to pay Surcharge and Cess. Why Should Individuals File Income Tax Return? Under the Income Tax Act, all individuals below the age of 60 years are required to file income tax return if total income exceeds Rs. 2.5 lakhs. In the case of individuals over the age of 60 years, but below 80 years, income tax filing is mandatory if total income exceeds Rs.3 lakhs. Individuals over the age of 80 years are required to file income tax return if the total income exceeds Rs.5 lakhs. Not being able to obtain refund of excess TDS Deducted. Penalty interest of 1% per month or part thereof will be charged until the date of payment of taxes. For returns of FY 2017-18 and onwards, penalty of Rs 5,000 will be charged for returns filed after due date but before 31st December. If returns are filed after 31st December, a penalty of Rs 10,000 shall apply. However, penalty will be Rs 1,000 for those with income upto Rs 5 Lakhs. Not being able to set off Losses. Losses incurred (other than house property loss) will not be allowed to be carried forward to subsequent years, to be set off against the future gains. Knom more about penalty for late filing income tax returns. The income tax return of a salaried individual is due on 31st July. Which ITR Form should a salaried individual use? Form ITR-1 must be used when the source of income is limited to Salary/Pension, One House Property and other sources (Excluding winning from lottery and race horses). Form ITR-2 should not be filed by any individual who has income under the head of Business or Profession from a proprietorship. ITR-2 form can also not be filed by a company or LLP or other types of legal entity.